Over the years, the minivan market has become more niche with the rise of SUVs and crossovers. More often, the minivan is primarily used by young and growing families with many children. 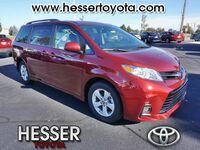 Leading the charge in this market for years has been the Toyota Sienna. 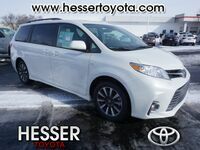 Now, after months of waiting, the newest model, the 2019 Toyota Sienna, is finally available at Hesser Toyota in Janesville, Wisconsin! For this model research page, we’re going to break down everything you need to know about the new Toyota minivan, so you can be confident in your choice for a new vehicle! 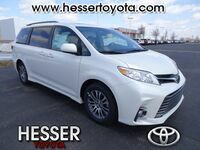 We're going to go into detail about the 2019 Toyota Sienna’s engine specifications, interior and entertainment features! Let’s see what the newest Toyota minivan has in store for drivers! Let’s start by taking a look under the hood! 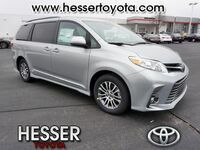 The 2019 Toyota Sienna comes standard with a robust and efficient 3.5-liter V6 engine with Dual Variable Valve Timing. This powertrain offers a combination of power and efficiency by delivering 296 horsepower and 263 lb-ft of torque while still getting an EPA-estimated 27 mpg highway fuel economy! It’s truly a best of both worlds! 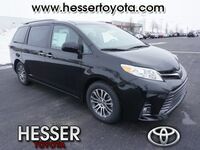 On the inside of the 2019 Toyota Sienna, drivers will find a spacious and comfortable cabin that’s filled with features and amenities for a better driving experience. The three separate climate control zones make sure everyone is at their right temperature and the available dual moonroof offers tons of natural light and fresh air! 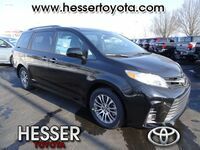 The 2019 Toyota Sienna is also filled with entertainment features, like the available Dual-View Blu-ray Disc Entertainment Center! Not only does it include a 16.4-in. color display, wireless headphone and two 120V AC power outlets, but the screen can also play two things at once from different sources at the same time! 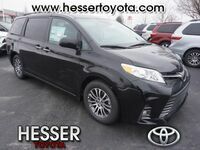 No more fighting over who gets to pick the movie in the 2019 Toyota Sienna! 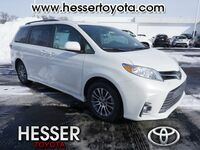 Want to learn more about the 2019 Toyota Sienna? Ready to get behind the wheel of one? Contact our staff at Hesser Toyota in Janesville, Wisconsin, for more information or to schedule a test drive today!